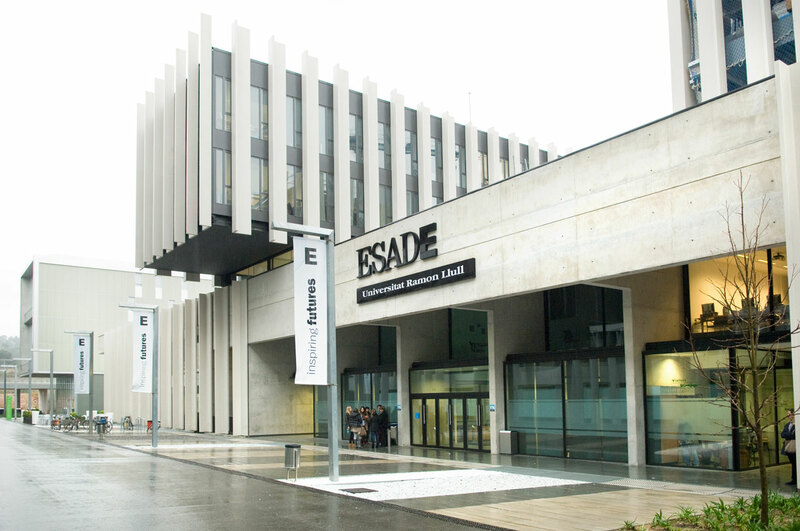 ESADE (Administration and Management Business School) is a private International academic institution created in 1958. From a vision committed to personal development and social responsibility, ESADE applies a unique and innovative learning model, pioneer in Europe, based on the development of abilities and professional and management competencies. 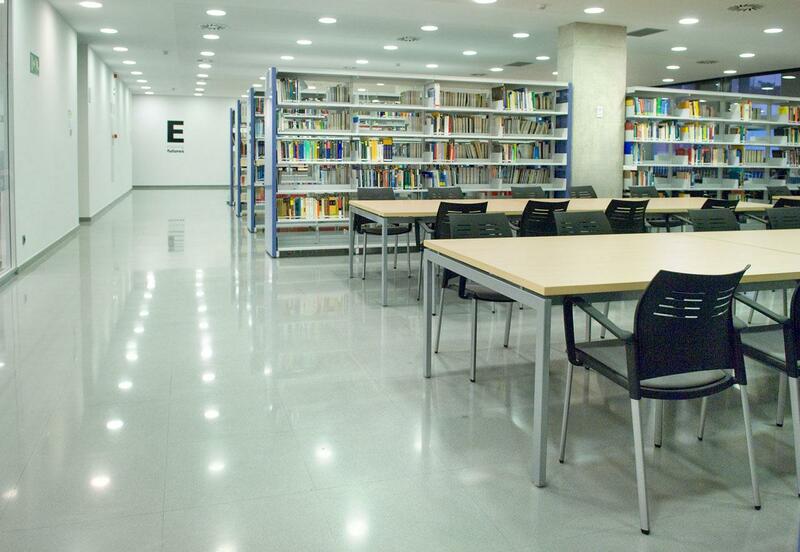 Situated in Barcelona, since 1995, it belongs to the Ramón Llull university. 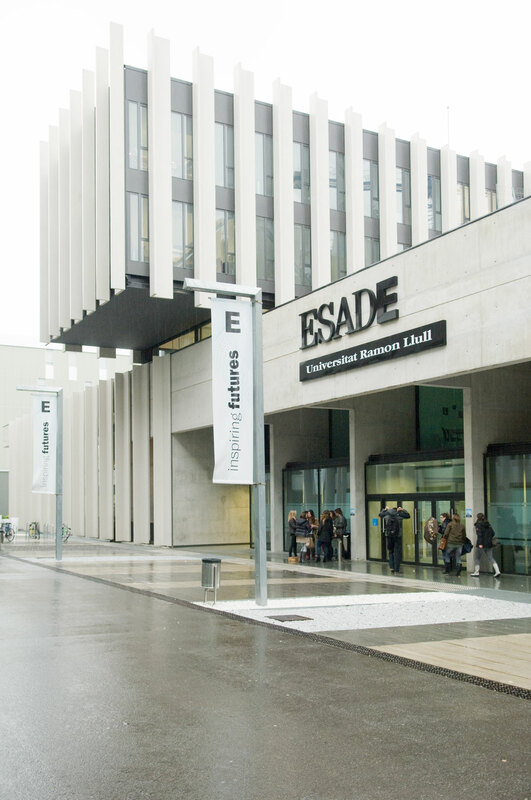 ESADE actually has more than 11.000 students between three campuses, Barcelona, Madrid y Buenos Aires and a community of old students consisting of 48000 people from 115 different nationalities. 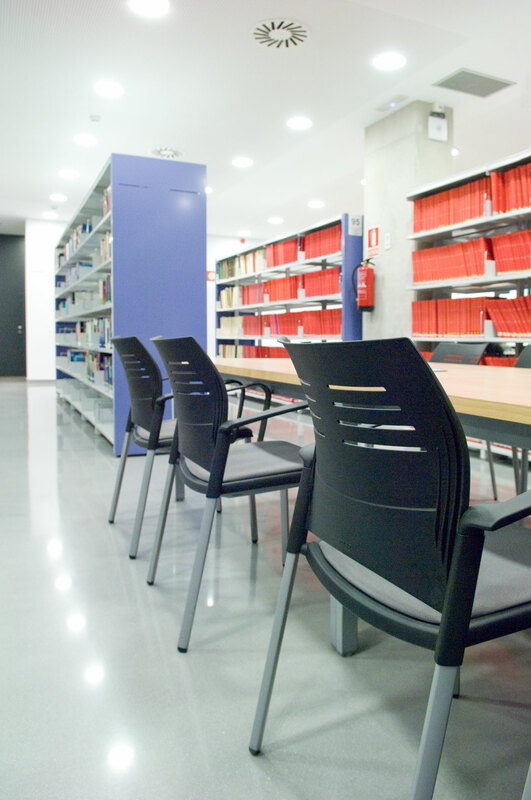 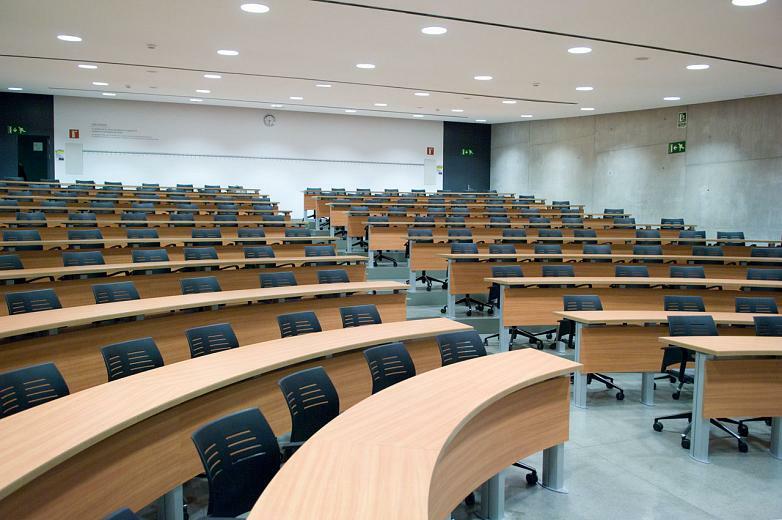 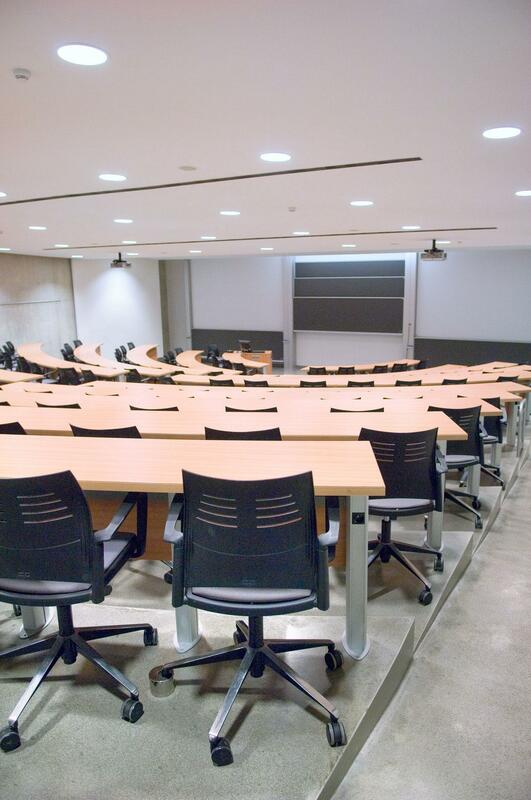 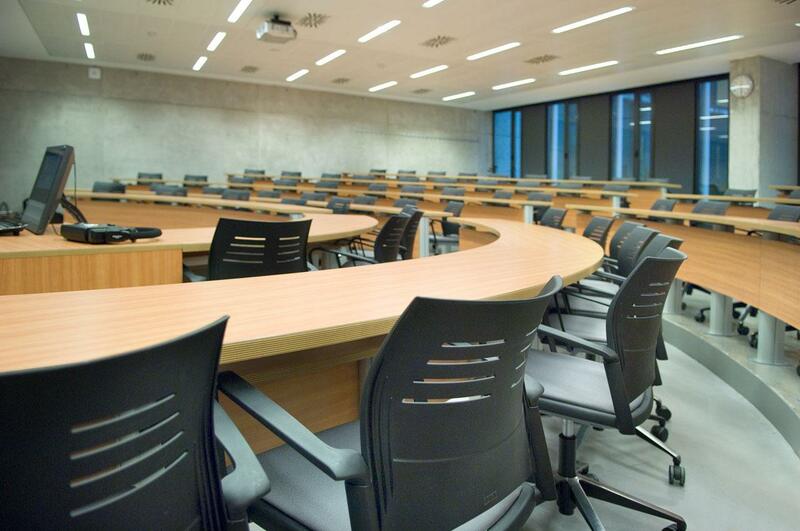 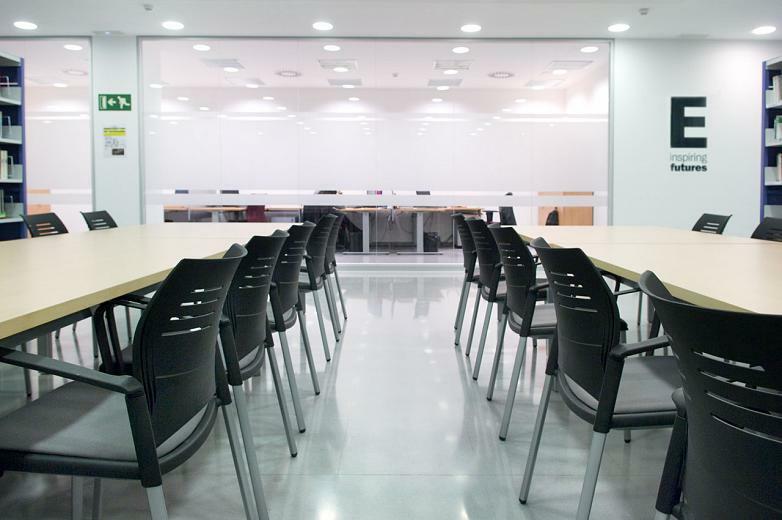 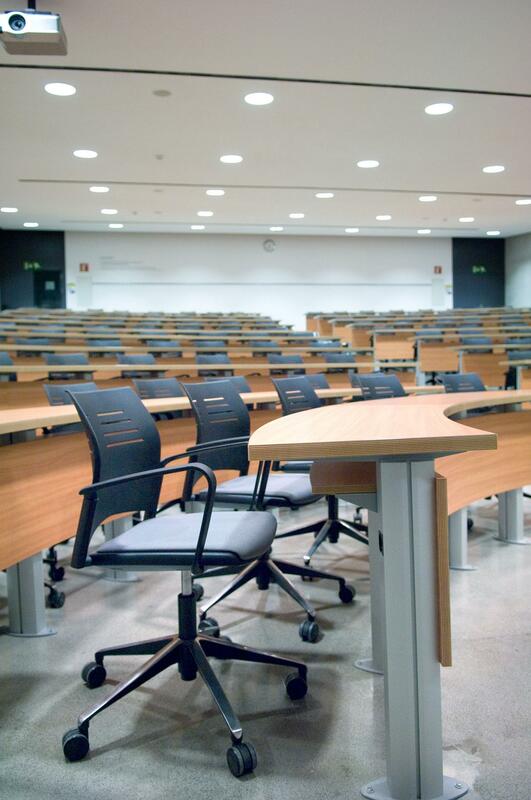 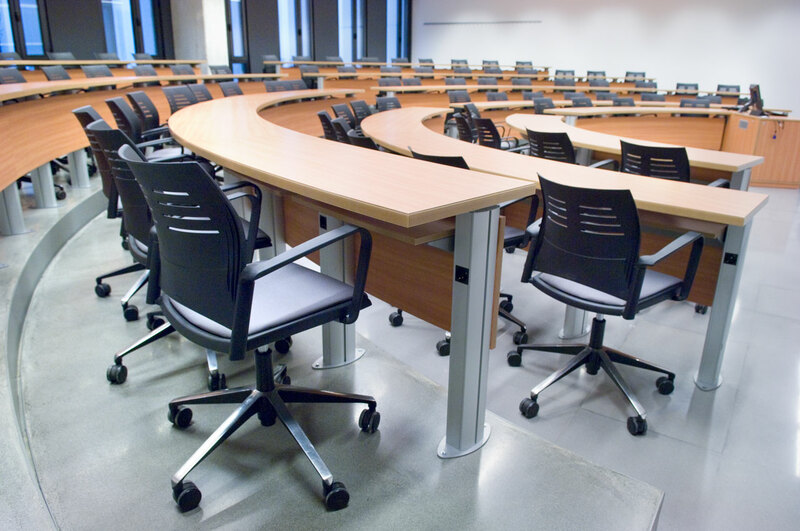 Actiu furniture has been used to provide some of its major facilities. 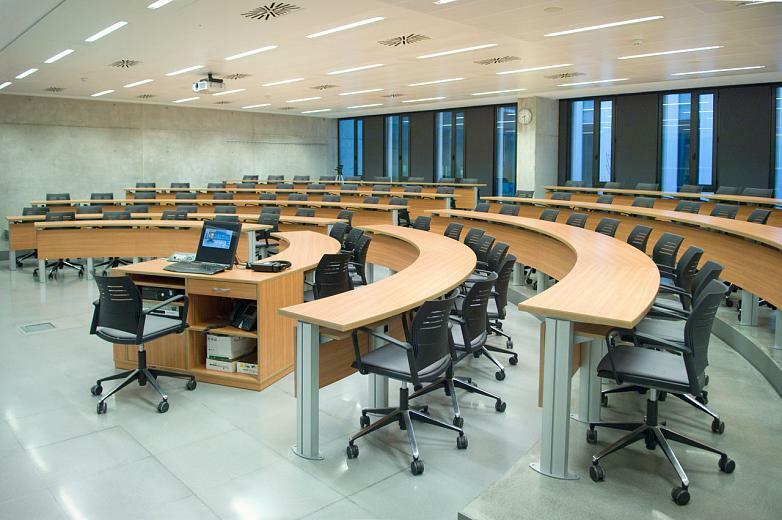 The classrooms, in the shape of a tiered amphitheatre, was equipped with desks anchored to the floor and with a curved table top. Furthermore, for the comfort of the users, the desks have a lower shelf for materials. The Spacio chair, light and multi-purpose, complements the classrooms. 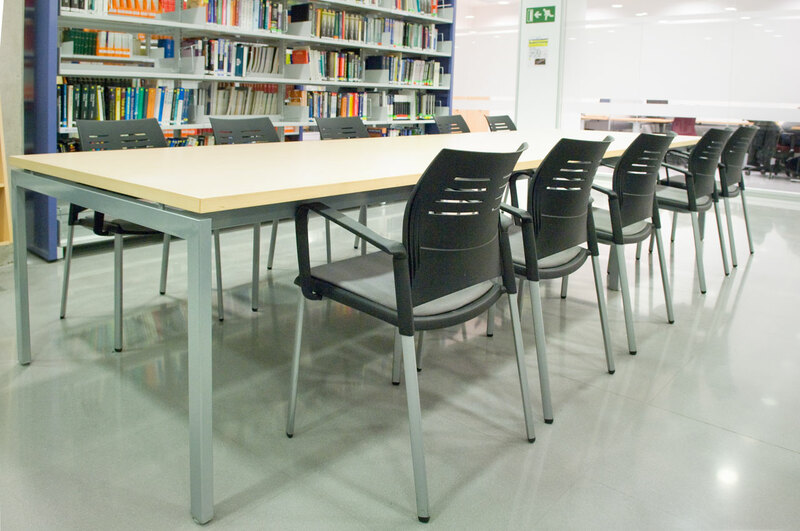 It has been installed in its gas elevation version with castors, black polypropylene back and seat upholstered in pearl grey. 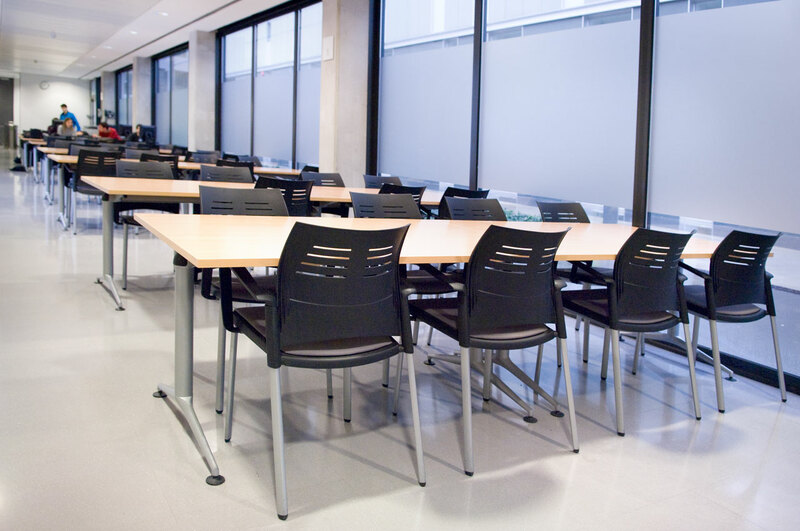 In the study spaces, we have kept the same combination by choosing the Trama desk for this environment with a straight table top, aluminized structure and a levelling base with a rubber sole. 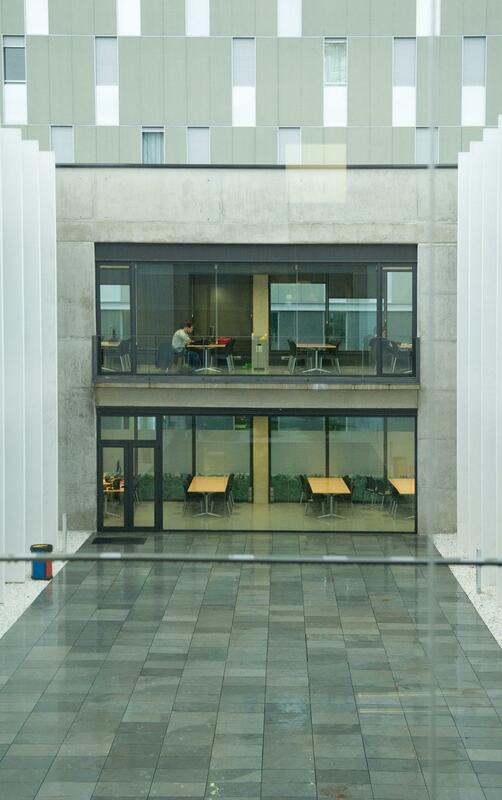 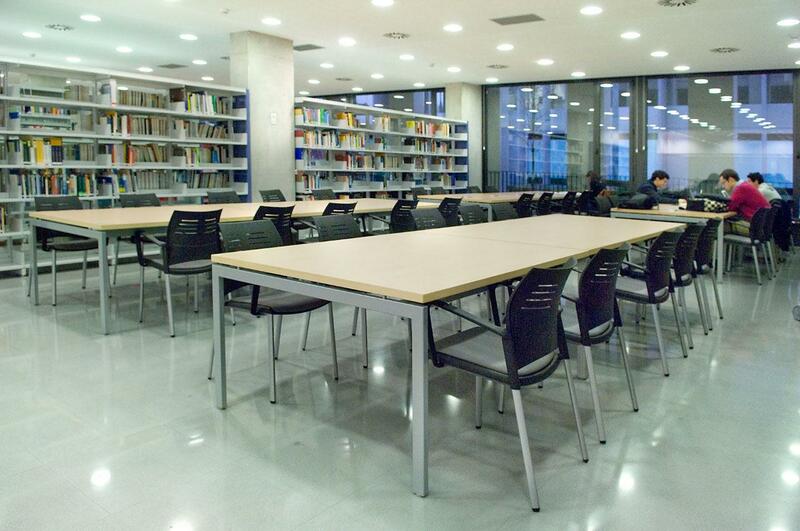 The library is equipped with double Trama desks and Spacio chairs with four legs. 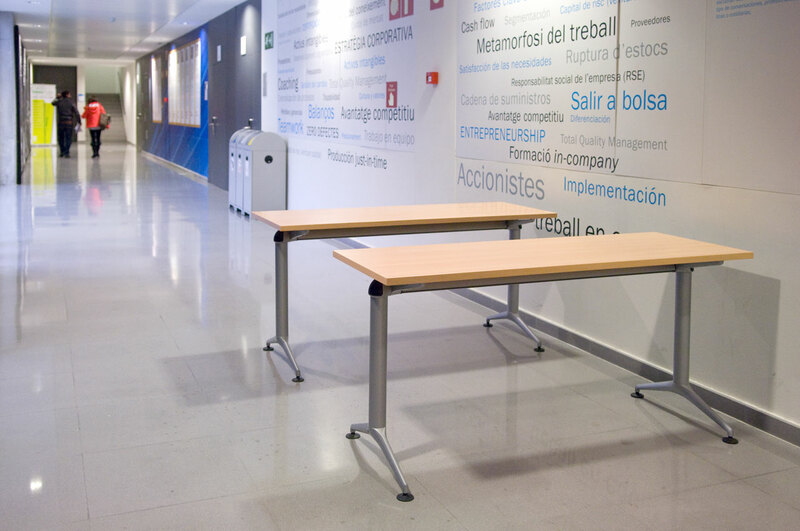 We wanted to maintain a coherence between the different spaces, respecting the desk and chair programs, as well as the combination of colours, adapting only the most efficient models for each area. In the traffic areas such as the corridors, waiting areas and lobbies, you can also find individual Trama desks, which are able to adapt themselves to any of the previous configurations if they require more capacity and workspace.